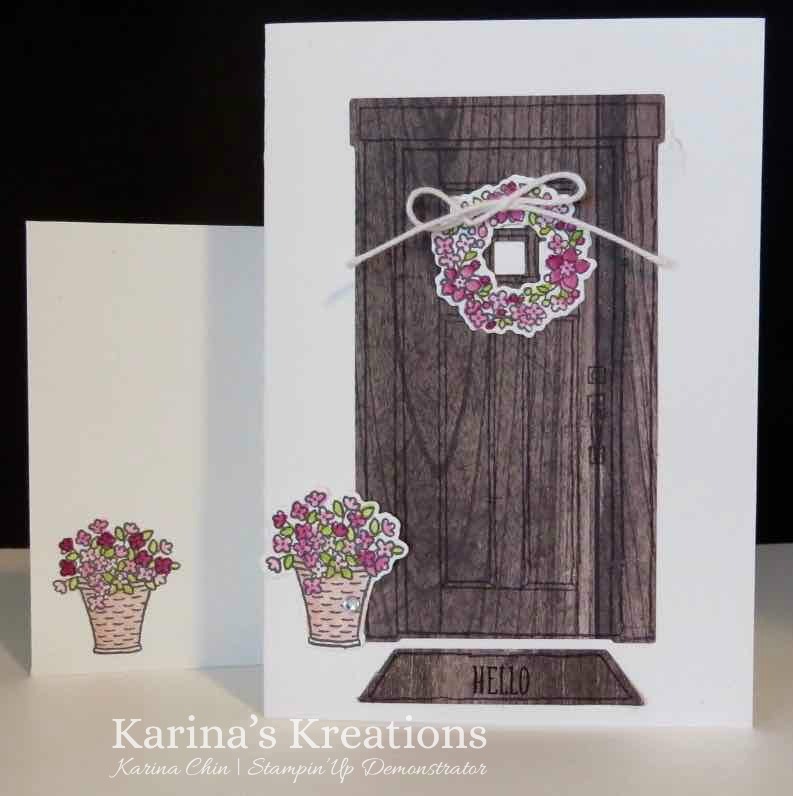 Karina's Kreations: Stampin'Up At Home with You! Stampin'Up At Home with You! Stampin'Up has a really fun new stamp stamp set called At Home with You! It's a builder set that features a door that can open if you also purchase the coordinating At Home Framelit dies. Save 10% by purchasing the bundle #145351 $64.75. I stamped the door with Basic Gray ink on Wood Texture Designer Series Paper and cut it out with the framelit die. I attached the door to a notecard and colored it in with an Aqua Painter and Lemon Lime Twist and Berry Burst ink. 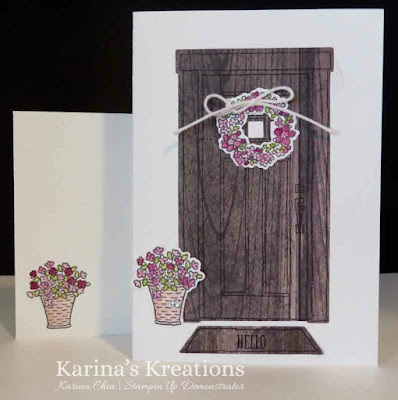 Here's a Stampin'Up video you can watch!